This is the advanced user tutorial for MySQL server, also known as MySQL Administration tutorial. In this tutorial I will explain you how to manage user in MySQL. Managing user means creating, deleting, assigning permission, revoking permission/privilege. 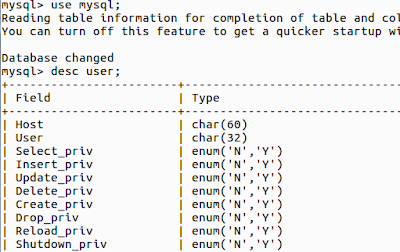 Before going to detail I recommend you, to first see the structure of user table under mysql database. Now we have to understand the two terms define below, more of us already know these terms. Authentication : Means system know about you (user). system have some kind of information about you. Autherization : Permission to do any operation using your authentication detail. you need administrative privileges for this. This command will create a user ganga and password is password. This command simply create a user without any permission. you can do nothing. 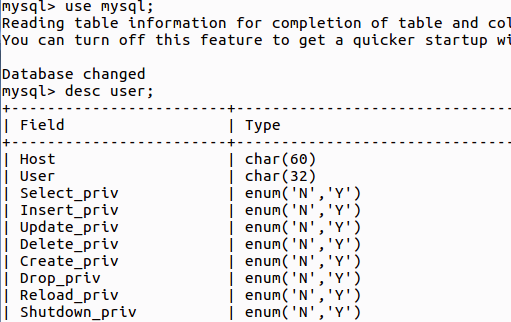 if you login to MySQL using this credentials(ganga, password) you only see information_schema database, all other databases hidden to you. Now we provide privileges/permission to newly created user ganga. 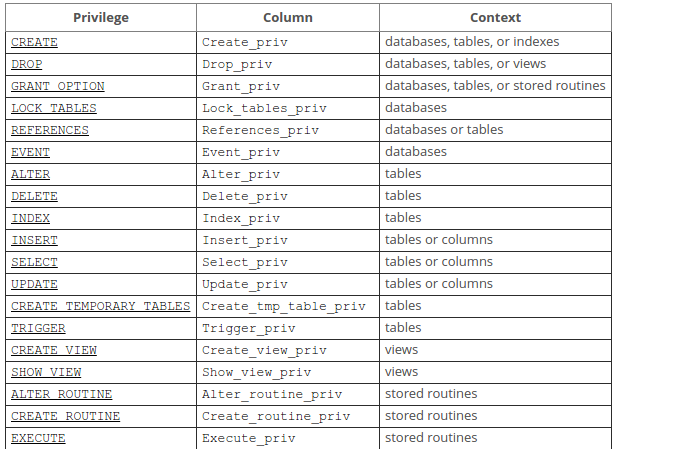 Some privileges are database level and some are table level. The following command provide select permission to user ganga in college database.